More than half of social care providers are handing contracts back to local authorities because of funding pressures, a new report says. Sector Pulse Check, which was released today by the disability charity Hft, says researchers found that 59 per cent of providers were handing back contracts, compared with 25 per cent in 2017. 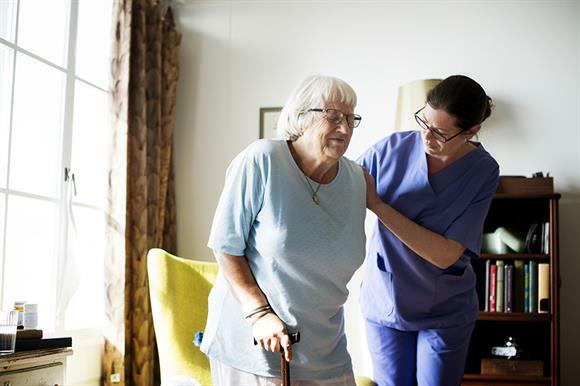 The report, which is based on responses from 56 care providers, says that 68 per cent of respondents believed they would have to hand back contracts in the near future if finances did not improve. There has also been a 50 percentage-point increase in the number of providers citing agency fees as a major financial pressure, the report says, with the proportion rising to 63 per cent. Recruitment is another big challenge in the sector, according to the report, with 80 per cent of providers saying that low wages were a barrier to hiring and retaining staff. But 88 per cent of the providers questioned said that rising wage bills were the main cost pressure facing the organisation. The report says that only 4 per cent of organisations the social care sector had completed preparations for Brexit, even though the departure date, 29 March, was looming. Robert Longley-Cook, chief executive of Hft, says in his foreword to the report that the findings show the pressures faced by a struggling social care sector. "Service closures are the last resort for any provider," he writes. "It is culturally at odds with the way the majority of providers usually operate, particularly when we have supported individuals for the majority of their adult lives. "It is the clearest indication yet that the underfunding of social care is having a deeply negative impact on providers and their ability to deliver critical support to vulnerable adults." Rhidian Hughes, chief executive of the Voluntary Organisations Disability Group, said in a statement: "Local commissioning is not keeping pace with the rising costs of care provision, investment in the sector is being seriously eroded and the sustainability of future services is now under real threat. "This situation is not fair to the individuals and families who rely on care services, nor the workforce, and government must take steps to immediately shore up the sector."